Sometimes it’s easier to focus on the negative. This world is sort of built for the negative. It’s not what you have, but what you should have. That kind of mentality is all around us. Sometimes it’s easier to dwell on the ones who have wronged us rather than the ones who bring joy into our life. Do you ever replay an event or argument in your head, wishing you had said something different; had the perfect comeback line for that person who scorned you? Just this week I had been doing that. I didn’t get any closure with a certain person who I feel has treated me and my family poorly. I just couldn’t turn off the negative talk in my head. That was until a friend snapped me out of it with a small blessing. I realized I was wasting a lot of negative emotions on this person. Because I can’t control what others say or do; I can only control my reaction to it. Here’s the deal, my friend, blessings come in all shapes and sizes. 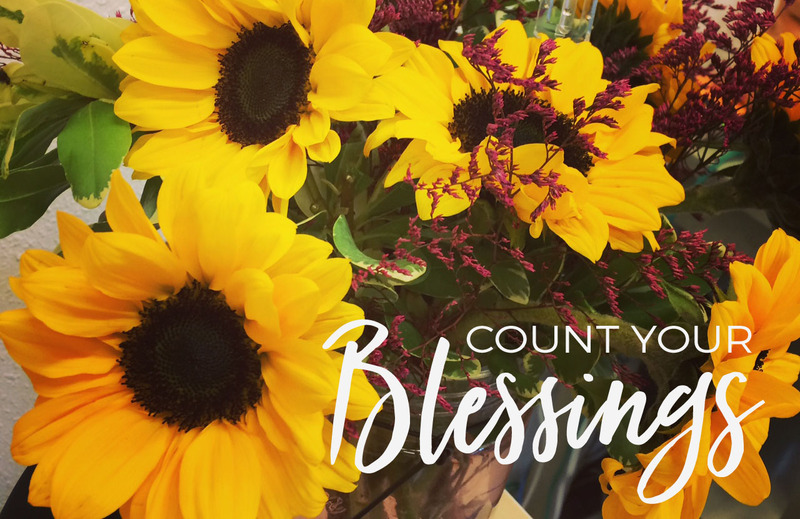 We may not always see those blessings because we are too busy focusing on the wrongs around us. People have a way of disappointing us, but they can also surprise us. Don’t close yourself off to the blessings because of the negative talk in your head. Count your blessings. You may find they are worth more than you realized.